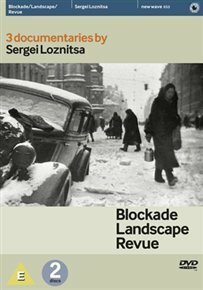 BLOCKADE/LANDSCAPE/REVUE (E) LOZNITSA, SERGEI £19.99Collection of three documentaries by Belorusian director Sergei Loznitsa. In ‘Blockade’ (2006), archive images of Hitler’s siege of Leningrad show how the city became victim to a blockade which caused the deaths of as many as 800,000 innocent people due to starvation, disease and cold weather. In ‘Landscape’ (2003), Loznitsa records the inhabitants of the Russian village Okulovka while they wait at a bus stop in the middle of winter. 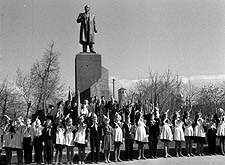 In ‘Revue’ (2008), the director pieces together a collection of archive propaganda material produced in the Soviet Union during the 1950s and 60s. Giving an insight into the mindset of the people at the time, the film shows both sides of the communist ideology from grand images of the Socialist realism art form to the harsh realities of human suffering and poverty.